Our Timeless Romance bouquet is a stunning arrangement with beautiful long stemmed roses snuggled with hypericum and palm leaf framed with folded aspidistra. This is an extravagant arrangement perfect to send to that special someone. 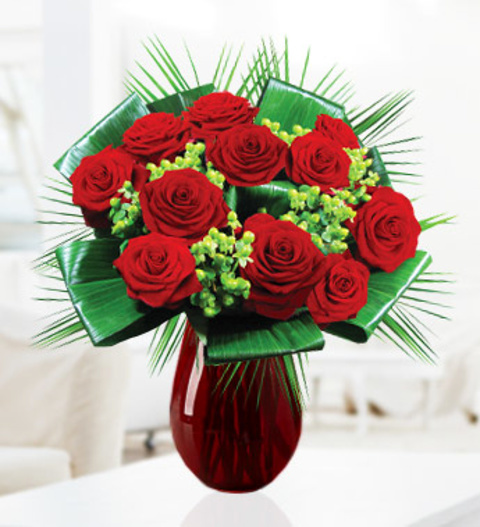 The arrangement is skilfully arranged by our talented florists and is sure to impress your lucky recipient. Also included is a FREE box of delicious Chocolates. The arrangement is available for UK next day delivery. Chocolates may contain nuts.